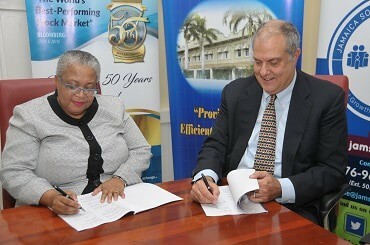 Mrs. Marlene Street Forrest, Managing Director of the Jamaica Stock Exchange (left), and Mr. Robert Taylor, Head of Business Development and Director of Risk and Data Authority at Global Risk and Data Authority sign License Agreement. Minister Hon. 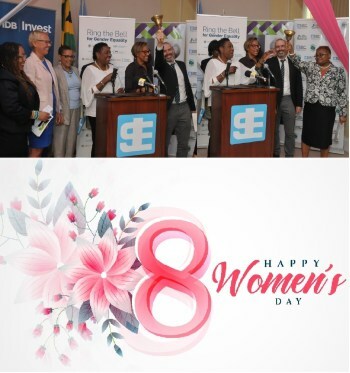 Olivia “Babsy” Grange, members of the UN team, members of the IDB team and members of the JSE team ring the bell for Gender Equality. 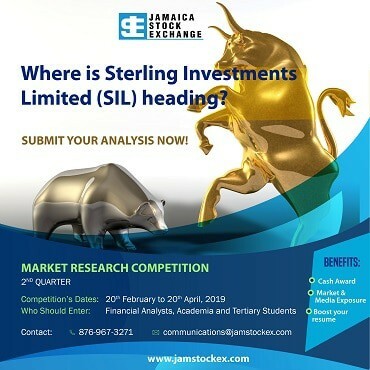 The Jamaica Stock Exchange Limited has advised that Mr. Lissant Mitchell has resigned as a director of the Board of the Jamaica Stock Exchange effective March 5, 2019. 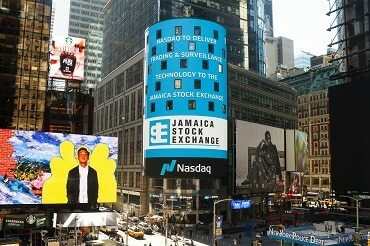 Jamaica Stock Exchange Limited (JSE) has advised that a meeting of the Board of Directors will be held on March 12, 2019 to consider the payment of a dividend.